RuscicaMusic is all about excellence in Music and Education. 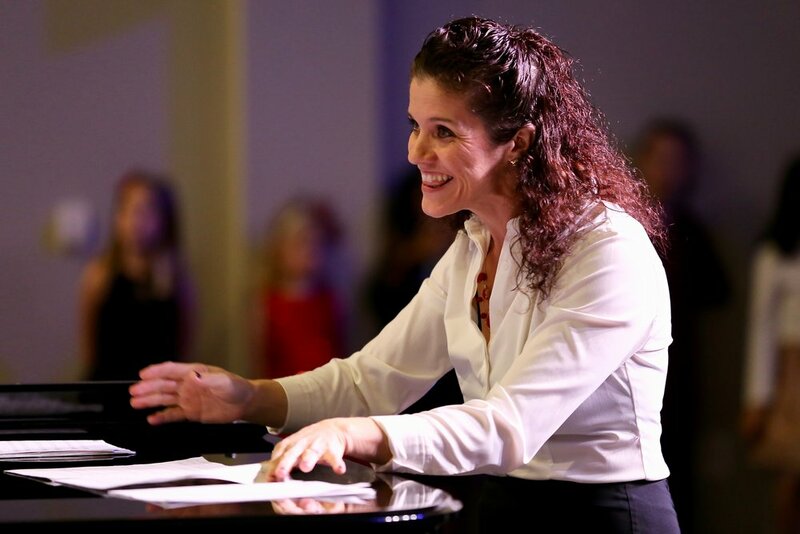 Brandy Ruscica is a music educator specializing in piano, strings and choral instruction. Please check out the pages to learn more about Brandy and her education and teaching techniques, Youth Choir, Lessons & Wedding Music. Brandy is wife to Tom Ruscica, Chair of the Music Department at William Jessup University. She and Tom have 3 beautiful children; Luca, Dario and Juliana. When not teaching privately out of the studio, Brandy enjoys being her kids’ mom and is a Music Docent for Rocklin Academy. Brandy, a graduate from Azusa Pacific University with a Bachelor of Arts in Music, served as district music teacher for Byron Union School District from 1998-2003. Earning “Teacher of the Year” for both 2000 & 2003, Brandy was featured in California Educator Magazine with a cover story on her practices and methods for music education. Brandy is now a private music teacher specializing in string instruments, piano, band instruments, & choir. She is a member of MTAC (Music Teacher’s Association of California) as well as president of the Placer branch, and Certificate of Merit instructor in cello and piano; as well as an adjunct instructor at William Jessup University. She also serves on the board of Classical Masters Music Festival as Artistic Director. Asia has been playing piano for 14 years. From 2014-2017, she taught piano and guitar and she is excited to get back into teaching again. She is currently attending William Jessup University and studying to receive her Bachelor’s degree in Music Composition. She hopes to one day open her own recording studio. Haley Mitchell has been playing piano for 11 years and teaching for 3 under Brandy Ruscica. She loves teaching and will be attending William Jessup University to study music and receive her Bachelor’s degree in Music Education. After graduating she plans to pursue a Masters in Piano Pedagogy. Haley is also a member of MTAC and offers Certificate of Merit in piano. And she loves playing soccer too! Kalyn graduated from William Jessup University in 2017 with a Bachelor of Arts in Music. During her time at WJU, she studied voice for four years and held leadership positions in groups such as the University Choir & Orchestra, a traveling group, on-campus band as well as a Student Worker position in the Music Department Offices. Since graduating, she has been teaching voice with RuscicaMusic, and serves as the Associate Director of Worship at River City Christian Church. Tanya has loved music her whole life, participating in church choirs, instrumental and vocal groups since she was a young child. She began playing guitar at age 9, piano at age 10 and cello at age 15. Her lifelong love of music and learning has included many years of self-taught and professional lessons. Since the fall of 2017 she has been a student at William Jessup University, where she is member of both the University Choir and Orchestra and Chamber Orchestra.